Do you live your life like a series of concurrent vacations to different places? Does the time and effort spent at work contribute to the values of your personal life? Does your personal life contribute to the values that drew you to your friends, your hobbies or your career in the first place? 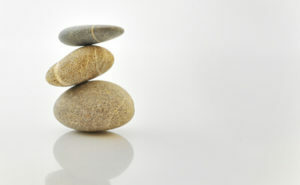 When you are caught in this paradigm you often find yourself trying to “balance” your life. Work life and home life all compete for your time and engagement. Can you leave work at work or does your mind often revisit your work day even when you are home and engaged in other activities? The more engaged you are in your work the harder it is to shut it off when you leave the office. Do you think about your boss, clients, co-workers, or an exciting initiative you are involved in at work when you are eating breakfast, chatting with family, falling asleep at night, or even while on vacation? And at work does your mind drift to family, church, or this weekend’s camping trip? Tony Rutigliano and Brian Brim’s Gallup Press book, Strengths Based Selling, refers to it as a “hum.” Your work may create a constant hum in your mind. It might even be the most satisfying part of your life, and that’s fine. But if the hum is drowning out other people and other interests important to you it is not. (Rutigliano & Brim, 2010). The same can be said if the “hum” of your personal life interferes with your work. How many times have you heard someone say, “you need to get balance in your life’” or “your stress level seems high, your work life and personal life must be really out of whack”? These well-intended comments are often followed with recommendations on how to better your work/life “balance.” Suggestions often include: begin to exercise, eat better, take a yoga class, build 10 or 15 minute stress breaks into your day, or become a better time manager.Good ideas, but often just trying to implement strategies like these to balance your life increases stress, takes time from both work and life and essentially can make you more unbalanced.Stephan Covey writes, “The challenge of work-life balance is without question one of the most significant struggles faced by modern man. I’ve surveyed thousands of audiences about their greatest personal and professional challenges. Life balance is always at or near the top” (Covey, 1990). Balance is a zero-sum game. Putting more effort and time into your personal life takes time and effort away from work and school. The demands of work and school lead to a guilty feeling for ignoring your loved ones in your personal life. Consider this thought: The activities in your work and personal life need not be independent efforts unrelated to each other. It is possible to design a life where all activities are interdependent and each is moving you toward a purpose you have created for your life. You can integrate your life when balance may seem impossible by blending all parts of your life to find meaningful experience within all your efforts. An integrated life is based on a purposeful life. What gives you a zest for life and gets you up in the morning? Why do you do the work you do? Why did you major in the topic you did choose to do the work that you do? Why do you live where you live and have the friends that you have? Wouldn’t it be great if you could discover a life purpose that was universal and fueled by energy all the time, at work, at home and at play? Your well-being depends on it! In the book The One Thing You Need to Know, Marcus Buckingham writes “Every great leader knows that what he must do is discover what is universal and capitalize on it” (Buckingham, 2005). Be your own great leader. Discover what is universal in your life and capitalize on it! 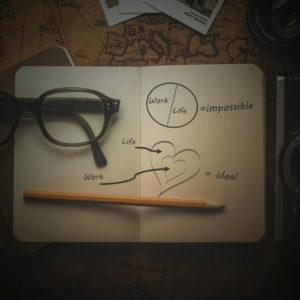 The first step to design an integrated life is discovering your life purpose and creating a personal statement. 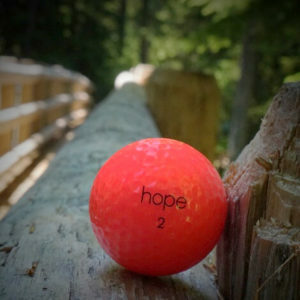 A picture of the future that inspires hope, a belief that tomorrow will be better than today and that you have the power to make it so. This is the first article in a 4 part series. Blanchard, K & Stoner, J. (2011). Full Steam Ahead: Unleash the Power of Vision in Your Company and Your Life (2nd ed.). San Francisco, CA: Berrett-Koehler Publishers. Buckingham, Marcus. (2005). The one thing you need to know. New York, NY: Simon and Schuster. Covey, S. R. (1990). The 7 habits of highly effective people: Restoring the character ethic. New York: Fireside Books. Harkavy, D. (2007). Becoming a Coaching Leader: A Proven Strategy for Building a Team of Champions. Nashville, TN: Thomas Nelson. Lopez, Shane J. (2013) Making hope happen: Create the future you want for yourself and others. New York, NY: Simon and Shuster. Rutigliano, T., & Brim, B. (2010) Strengths based selling. New York, NY: Gallup Press. Sinek, Simon. (2011). Start with why: How great leaders inspire everyone to take action. New York, NY: Penguin Group.